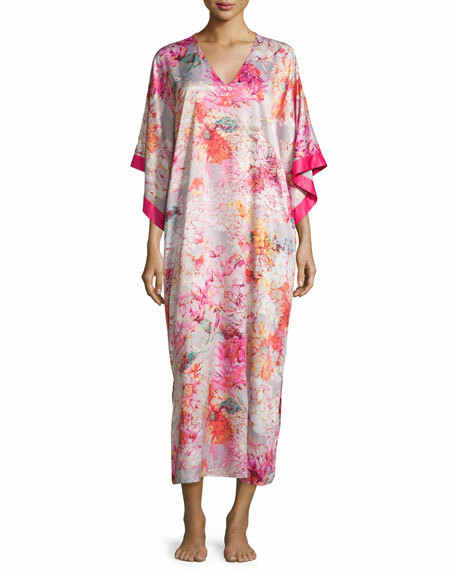 Natori "Autumn" floral-printed charmeuse caftan. For in-store inquiries, use sku #1797398. 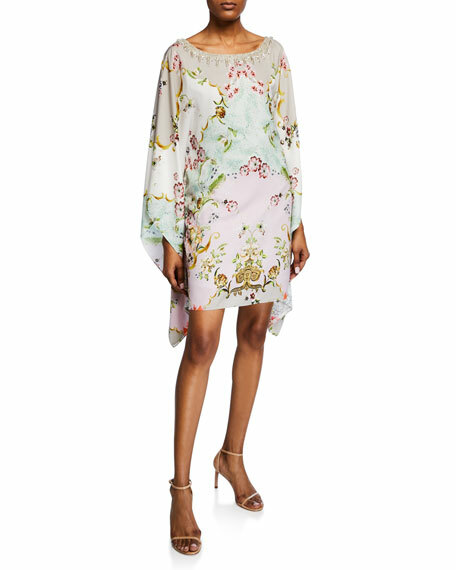 Badgley Mischka Collection "Alice" printed short caftan dress with embellished neckline. Bateau neckline with necklace trim; V-shaped back. Long caftan sleeves. Sheath silhouette. Mid-thigh length. Straight hem. Slipover style. Polyester. Imported. 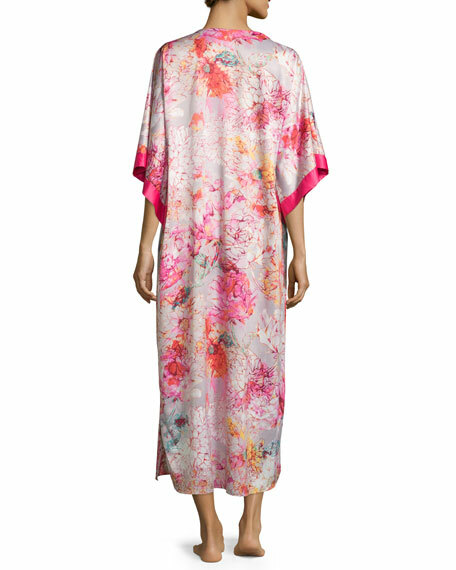 Carmen Marc Valvo printed chiffon caftan. V neckline. Short sleeves. Easy fit. Asymmetrical hem. Slipover style. Polyester. Imported. 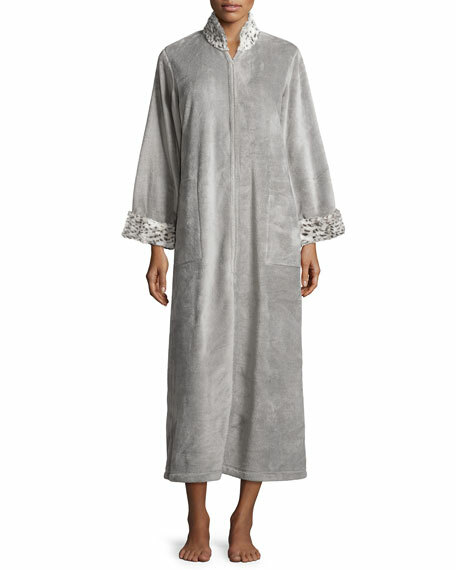 Natori "Alpine" caftan in plush flannel. Faux fur (polyester) trim. Stand collar; zip front. Long sleeves. Side slip pockets. Relaxed silhouette. Straight hem. Polyester. Imported. 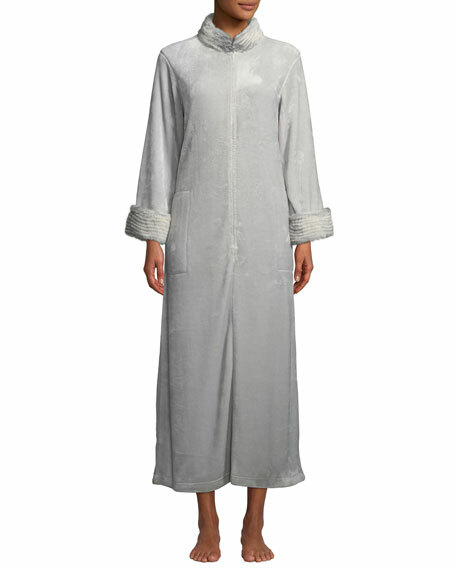 Natori faux-fur (polyester) caftan. Stand collar; zip front. Long sleeves. Patch pockets. Semi-fitted silhouette. Straight hem. Imported.